We create Profit Centers in SAP to understand operating profit at each area of responsibility. The Profit Center definition criteria depends on individual customer requirements. Some customers need Profit Centers by location, others define by Product, Function, Product Group, Product Division etc… A Profit Center is an organizational unit that operates independently within company. Typically, SAP systems derive Profit Centers based on the assignment to other objects, that may be material masters, cost objects and overhead objects to the relevant production order, sales order, WBS element, product cost collector, network etc…. If Customers decide to use cost-of-sales accounting, they need to define and determine functional areas which contain the relevant cost components as functional costs. Profit Center Accounting allows profitability reports by period or cost-of-sales accounting. The object of defining Profit Centers is to draw financial statements, profit and loss statement / balance sheet for each area of responsibility company. 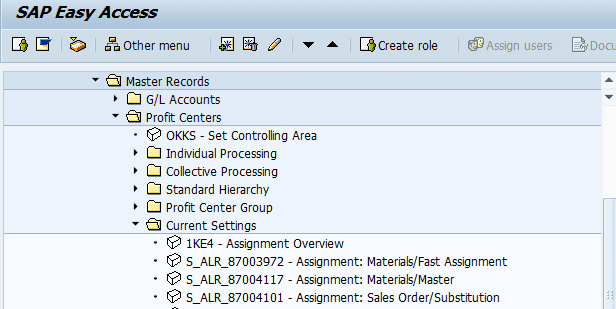 You need to activate online data transfer in the Profit Center settings for the controlling area during configuration. This article is intended to provide a quick overview on Profit Center Accounting given that this is the most important master data in any SAP implementations and structured to provide an overview of Profit Center Accounting in SAP S/4HANA 1709/1809. A Profit Center is an “SAP Controlling” organizational unit defined for internal control purposes. Based on organizational requirements, you can divide companies into Profit Centers that enables management to analyze the areas of responsibility. It also enables you to delegate authority and responsibility to these decentralized units to steer and control them. The person responsible for the Profit Center is responsible for its balance of costs and revenues. Profit Center Accounting is one of the tools to evaluate a specific unit of enterprise within the company. It may be a plant, branch office, function or product, product group or division etc…to analyze profit & loss internally. Profit Center Accounting gets data from various business processes from Accounting, Logistics, SD and so on. During master data design, we assign Profit Centers to other account assignment objects like Sales Orders, Production orders, Cost Centers, Internal orders, Projects etc… to which costs and revenues are to be posted. 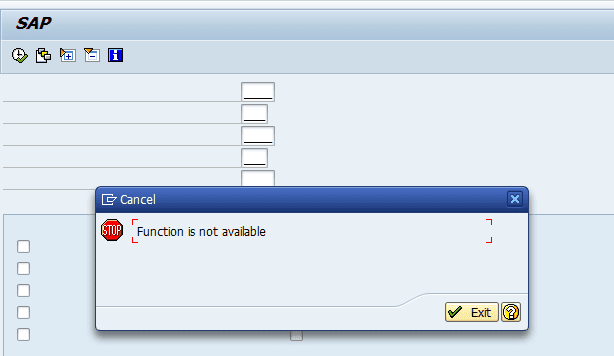 As a result, the Profit Center filed in the SAP system is normally not user input filed explicitly. 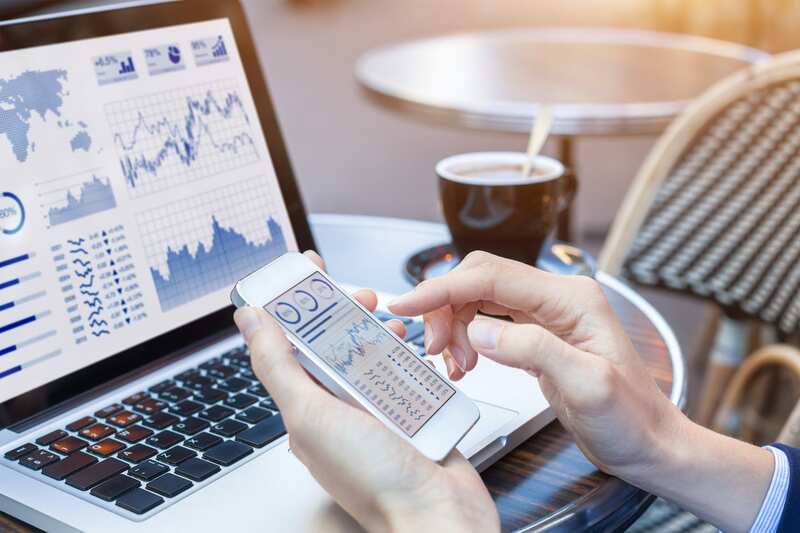 Instead, data is derived from cost centers, internal orders, material masters etc… SAP S/4HANA Finance Consultants define Controlling area settings to be able to use the functions within Controlling or in Profit Center Accounting. One Controlling area has different Profit Centers. Each Profit Center head requires information to prepare P&L to take different decisions. Group head (Controlling is level) needs overall information. Different information is needed by different Profit Center heads for decision making processes, as they are responsible for each area of responsibility. In this article, I would like to share basic information on Profit Centers Accounting on SAP S/4HANA with reference to SAP S/4HANA Versions 1709/1809. During implementation projects, SAP S/4HANA Finance Consultants will finalize the criteria (based on Geographical locations, Product lines, by function – Marketing, Production etc.….) to define the Profit Center Master Data. Once definition criteria is finalized, SAP S/4HANA Finance Consultants create Profit Center standard hierarchy, Profit Center groups (alternative hierarchies) and create Profit Center master data in SAP S/4HANA system. 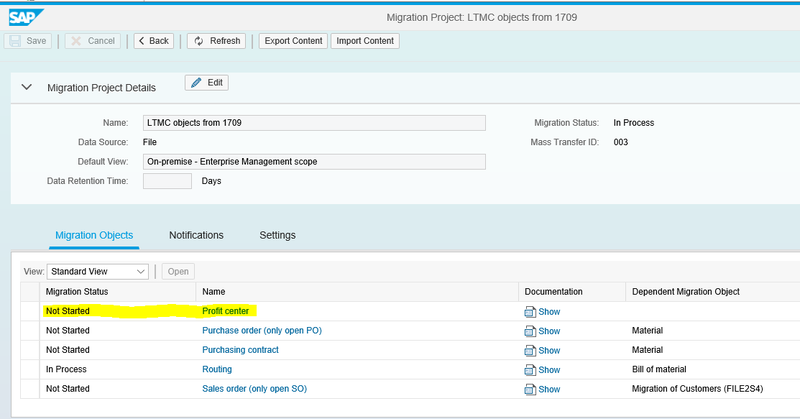 The migration cockpit can be accessed in SAP S/4HANA using transaction LTMC. 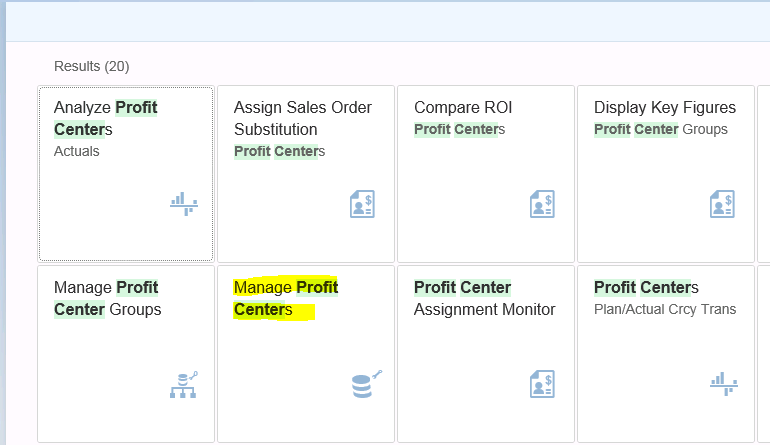 You can find a migration object “Profit Center” to migrate Profit Center Master data in SAP S/4HANA using a template provided by SAP. 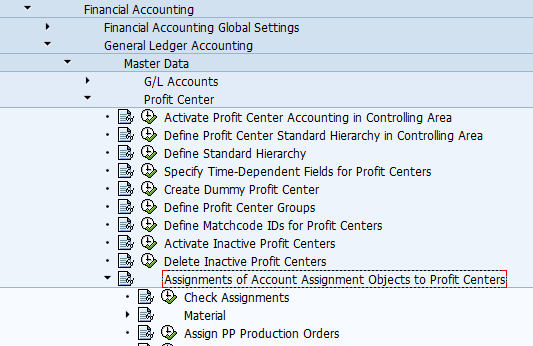 Profit Center Accounting in S/4HANA works based on the GL accounts of the operational chart of accounts assigned to your company code. When you create a GL account, we choose an Account type from Balance Sheet Account, Non-operating Expense or Income, Primary Costs or Revenue, Secondary Costs. • SAP Easy Access – Accounting → Financial Accounting → General Ledger → Master Records → Profit Center →Current Settings. SPRO→ Financial Accounting, under General Ledger Accounting → Master Data → Profit Center → Assignments of Account Assignment Objects to Profit Centers. Either Profit Center or Segment cannot be stored directly in Asset Master Data, S/4HANA system derives segment and Profit Center from a cost center or an internal order indirectly. 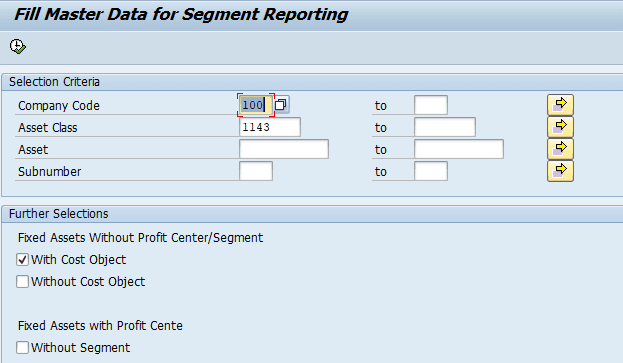 Once you activate below business Function and Activate Segment Reporting option in IMG menu, you will be able to see segment and Profit Center in Asset Master record. Financial Accounting → Asset Accounting → Integration with General Ledger Accounting →Segment Reporting → Activate Segment Reporting. 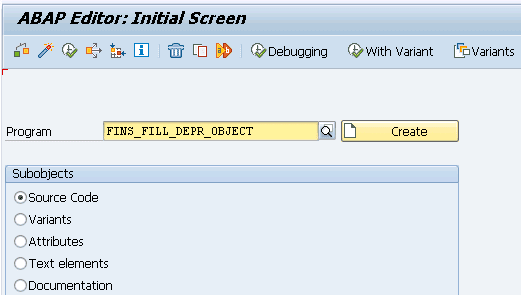 Caution: Once you have activated segment reporting for Asset Accounting you cannot deactivate. For Example, if you are working on a project where Segment reporting with Asset Accounting has a problem, you can also activate this in IMG shown above and execute the program. FAGL_ASSET_MASTERDATA_UPD thru SE38 or using menu path. So the system would be able to update all asset masters with segment and Profit Center fields. 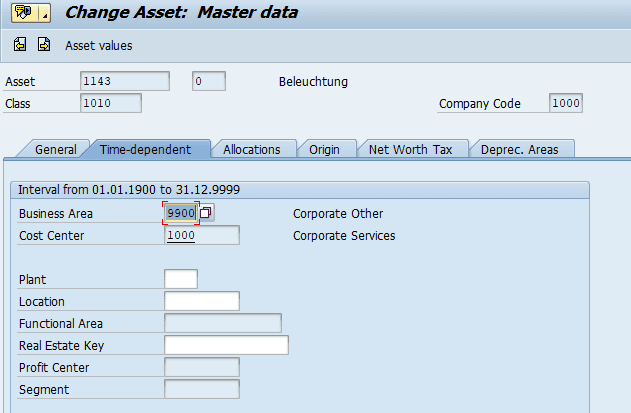 Once Profit Center Master data and its assignment with other objects is completed, SAP S/4HANA Finance Consultants need to start other configuration settings that are needed for integrative business processes. They have to do the necessary settings to flow data from Financial Accounting, Materials Management (MM) Cost Object Controlling (COC) Sales and Distribution (SD). Then they have to plan for Processing Allocations in Profit Center Accounting. As Profit Center Accounting enables you to calculate operating profit / Lost for a Profit Center, Consultants working on SAP S/4HANA implementations will make sure that data is flowing correctly to Profit Centers through proper configuration settings across all lines of business. When we activate the Document splitting process at Profit Center Level, it is easy to identify Accounts payables and Accounts receivables according to their origin at Profit Center level. As Profit Center Accounting is integrated in ACDOCA Table, Businesses do not require to do reconciliations amongst Financial Accounting – Controlling – Center Accounting. Data from logistics flow through assignment of the object to a Profit Center or partner Profit Center. As users cannot enter Profit Center information manually for receivables, payables, or automatically generated line items, proper assignments and configuration settings are needed so the system fills the Profit Center field automatically. Sometimes during execution of allocations in Controlling this may result in a change of the Profit Centers. Then it affects P&L of respective Profit Centers. When data is posted to financial accounting, users give a Controlling object manually. As we have already established a link between CO object to a Profit Center, data flows to Profit Center. In many FI transactions, users can also enter Profit Center manually. Profit Center is taken from material master per purchase order item. This Profit Center is moved to GR (goods receipt) when we do MIGO. This gives “costs of the material consumption” in the relative Profit Centers. If there is a price difference, this is assigned to the Profit Center of the material purchased. If the price difference account is defined as a cost element, the price difference amount is posted to the Profit Center of the corresponding CO object. Besides, transfer from Financial Accounting, Material management, System transfers from primary and secondary cost postings to Profit Center Accounting. If users execute Goods Issue for a Production order, the Profit Center is determined by the finished goods (Material Produced). For SD transactions, Profit Center is passed from the sales order to the delivery note, and then to the billing document (VF01) when the goods issued to Customer, change in stock is posted to the Profit Center automatically. If account-based CO-PA is active, GL account for changes in stock is to be defined as a cost element. If CO-PA is not active, you must define this GL account as a profit and loss (P&L) account. Profit Center is assigned to each item of the sales order. During Allocations in Profit Center accounting, we use statistical key figures as an allocation base. SAP recommends using Distribution to move from a single Profit Center to multiple Profit Centers as it allocates items to the cost element (the same account remains in the receiver). SAP BPC is optimized for SAP S/4HANA with Real time access to Master data and transaction data with single planning solution. It is part of SAP S/4HANA. It is delivered with content related to relevant BW and planning structures and with analysis office planning workbooks. It has simulation capabilities, pre-built planning models and many further key capabilities. It eliminates data replication & retraction. Once SAP Accounting powered by HANA is implemented, then SAP BPC Optimized for SAP S/4HANA can be implemented. ACDOCA Table is the main table for Accounting. 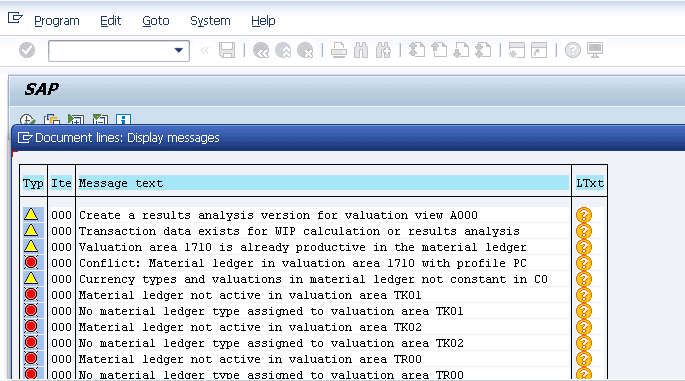 From SAP S/4HANA 1610 it is possible to store the results of planning in a new table, ACDOCP, that has the same structure as the universal journal (ACDOCA). Plan/actual reporting is provided by comparing the entries in the two tables. As SAP HANA is a common database for OLTP and OLAP, it can eliminate complexity and latency. This improves data processing performance and faster response times. SAP S/4HANA is built on SAP HANA. Planning, execution, prediction & simulation are done “on-the-fly”, at the highest level of granularity, to drive faster business impacts. It helps for reimagining businesses and makes decisions fast. Profit Center Planning in SAP ECC is based on certain transactions (SAP GUI). Example: 7KE1-6 and 7KEP (Profit Center planning), IKE0 (transfer CO-OM plan to Profit Center plan). Businesses now have to use SAP BPC Optimized for SAP S/4HANA for planning transactions. These Transactions have been removed from the menu in SAP S/4HANA on-premise edition 1511 or higher. When consultants work on Conversion Projects, they need to refer to SAP Notes 2081400 and 1972819 as a part of Conversion Pre-Checks. They also need to check the scope of existing planning activities and determine if they can be covered using the business content currently available for SAP BPC for S/4HANA Finance. Profit Center Planning is now covered by SAP BPC for S/4HANA Finance. Refer to SAP Note 2081400. As per SAP note 2270407, if you do not want to use SAP BPC for S/4HANA, but classic planning functions instead, you can continue to use the classic planning transactions. Refer to SAP notes for full details. 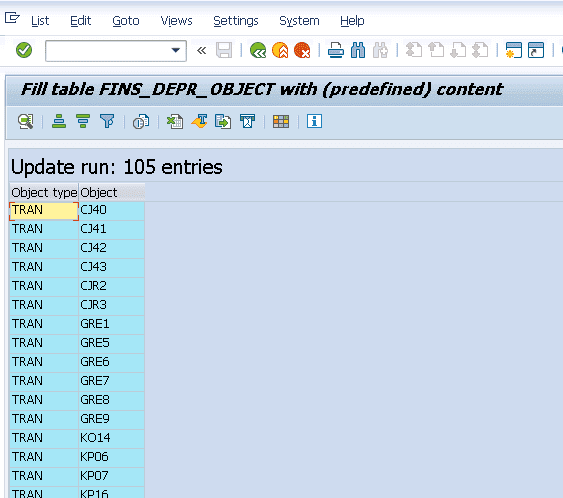 FI-GL Planning – SAP Note 2253067 describes how to reactivate. 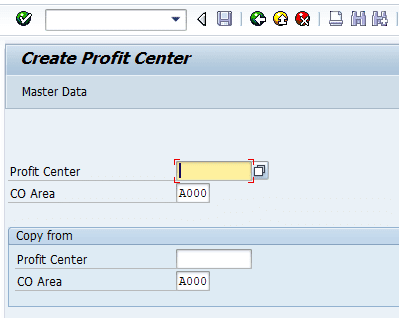 Profit Center Planning (classic) – SAP Note 2345118 and 2313341 describe how to reactivate. Many organizations are required to report financial statements based on multiple accounting principles. Legal view – transfer prices represent sales price. This will reflect in the individual financial statements of those Profit Centers. Group view represents COGM, which can be used for the allocation of goods and services within Company code. Group View is to valuate exchanges of goods and services amongst Profit Centers within the company code using cost of goods manufactured (without internal profits). The receiver Profit Center receives a semi-finished product at cost of Goods Manufactured. 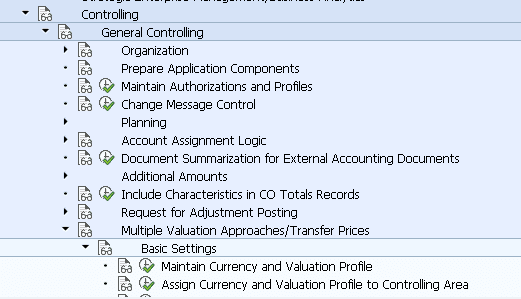 Profit Center View represents valuation approaches that are agreed amongst Profit Centers. Valuation view always uses its own currency type ( Legal, Group, Profit Center). The combination of currency type and valuation view is referred to as the valuation approach. In a currency and valuation profile, you can specify up to three valuation approaches. Currency types “Group or Profit Center” valuation have an assignment to the corresponding legal currency type. 1. Separate ledger for each valuation. 2. Parallel valuations updated in a multi-valuation ledger. For this, 0L is assigned 10, 11, 12, 30, 31 & 32 currencies. Ledger 0L will be assigned to company code and currency types shown above. Currency types 10 &30 is for legal view, Currency types 11 and 31 is for group view, and Currency types 12 & 32 are for Profit Center view. Define Currency and valuation profiles in IMG : Controlling > Controlling General > Multiple Valuation Appraches /Transfer Prices >Basic Settings > Maintain currency and valuation profile. The currency & valuation profile determines which valuation views are being stored in which currencies. C&V Profile shows Currency type and valuation view. We can give up to three valuation views in up to two currencies. The combination of currency & valuation view is referred to as valuation approach. Assign Currency and Valuation profile to controlling area : IMG: Controlling > General Controlling > Multiple Valuation Approaches/Transfer Prices> Basic Settings > Assign Currency and Valuation Profile to Controlling Area. We must assign the C&V profile to a Controlling area and then activate the profile. See below screen Print. Note: Valuation approaches in CO, ML, FI & all other for the company codes, depreciation areas, and plants must be consistent with the profile. When we execute this, the system checks if all the settings in the controlling area are consistent or not. Can I Deactivate transfer prices? Deactivation of the transfer prices may lead to inconsistencies in the transaction data. Deactivation of transfer prices in systems with existing postings in multiple valuation approaches is still NOT supported in the standard SAP system. Refer to SAP Note: 175758 – Deactivate transfer prices for full information. Businesses need to do sufficient exercises to finalize the organization units such as Cost Centers, Profit Centers, Plants, Segments etc… It is the key element for any SAP implementation Project. Effectiveness of an organization is measured by data quality and reporting ability. During my discussions with many SAP ECC customers about their preferred path for SAP S/4 HANA, they say it is a fresh implementation rather than conversion. Bad master data design in existing SAP ECC systems is putting them off going for a conversion. Creating “the best” business case for Conversion is becoming a challenge due to incorrect Profit Center and Cost Center design in their SAP ECC system. 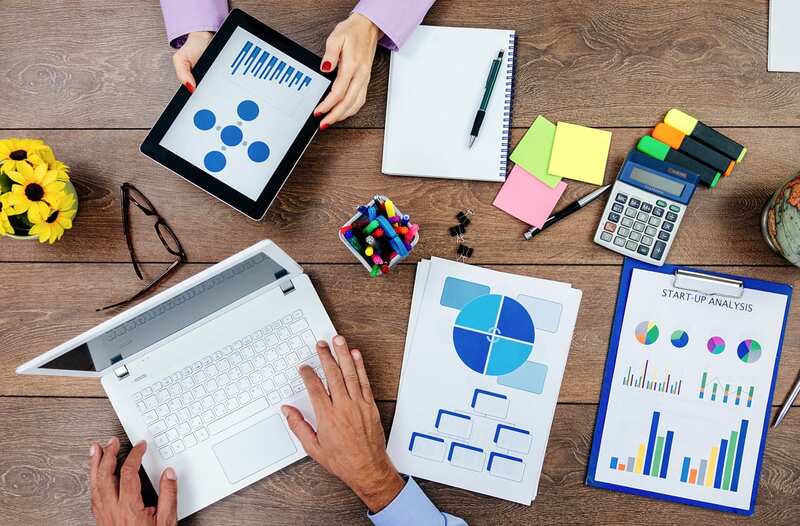 Designing perfect Profit Center Master Data, with appropriate assignments with other cost objects, can surely lead to efficiencies and enhancements in data quality and reporting ability. Bad Master data design impacts negatively on good businesses. You may encounter numerous issues during daily activities, compliance issues may arise, and you may miss opportunities due to lack of quality data because master data is often used by multiple applications and processes. A small error in master data design can have a huge effect on the business processes. Author: Dr. Ravi Surya Subrahmanyam works as Director of the SAP Practice for the Hackett Group India. He is an AP Certified Application Professional – Financials in SAP S/4HANA 1709 – S/4HANA Solution Architect. He has a Doctorate in Finance. He is Visiting Instructor for SAP India & SAP Indonesia. How will SAP C/4HANA Enrich Customer Experience?